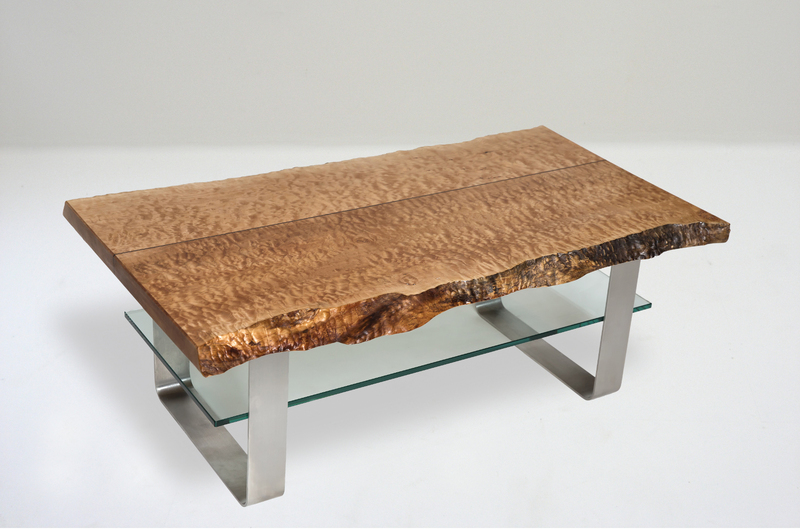 These coffee tables feature a spectacular quilted maple live edge top, stainless steel legs and a glass centre piece. 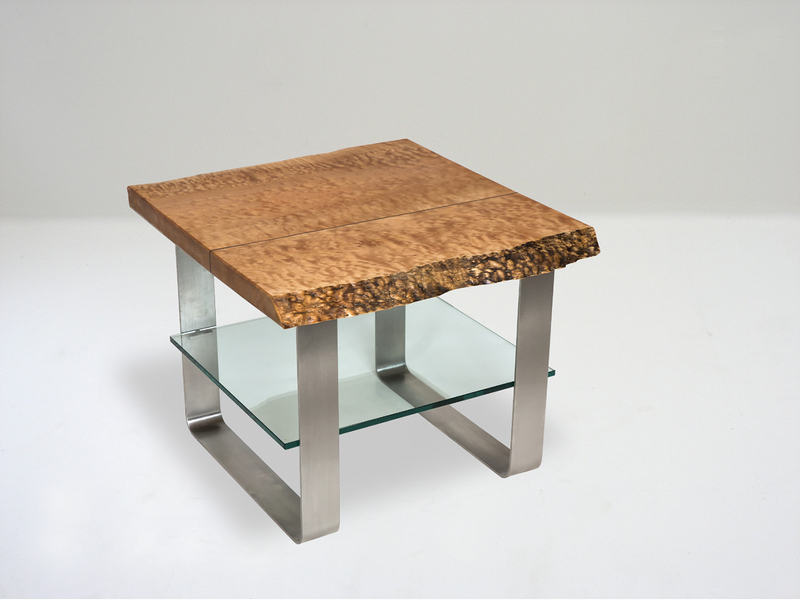 The lager coffee table measures 48 by 26” and is 17” high. The matching end table is 26” by 26” and 22” high. To get the required width, I had to laminate two pieces of live edge wood. Since they were not a perfect match, I decided to add 1/8” strip of walnut to highlight the joint. That strip of walnut made the pieces special and unique. The glass surface not only provides an extra surface for magazines; more importantly, it balances and “grounds” the units.